When you’re a woman who loves nothing more than to push yourself to the limits with CrossFit, it can be hard to find the right gear that’s been designed for the unique needs that women have with workout gear. One of the most crucial accessories is our footwear, and there’s no physical fitness more intense than CrossFit, so we need to be sure we have the right shoes on our feet. In the standard CrossFit workout, you can be doing everything from lifting weights to swinging kettlebells and everything in between, so you want a shoe that can be versatile. 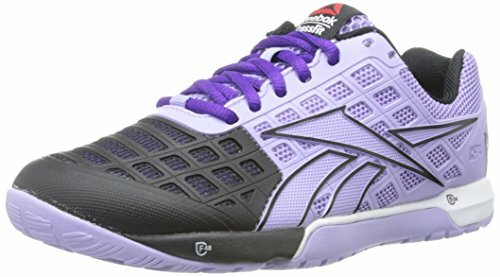 In addition, it has to be one specifically made for women so that it can give you the support you need, and thankfully there’s just the solution – the Reebok Crossfit Nano 3. 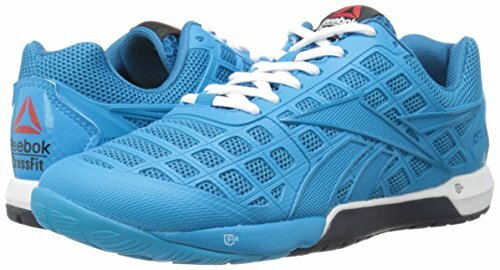 Reebok is known for creating shoes that are perfectly matched to the athlete, and their collaboration with CrossFit has ensured they make the ideal shoe for this unique workout. With both men’s and women’s shoes you will have peace of mind that they will be the right fit for your body and can give you all the support you need during an intensive CrossFit session. Anyone who’s owned a pair of Reeboks before will be able to tell you how comfortable they are and how much they can enhance your performance. This high level of quality, comfort, and innovation is on display with the Reebok CrossFit Nano 3.0 Women’s Trainers, and you’ll never look back to a generic shoe again once you’ve tried them out. Reebok is one of the oldest sports and fitness brands in the world, with well over 100 years of experience creating accessories and clothing for athletes of all kinds. 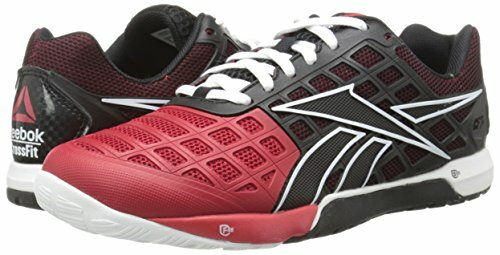 Their unique collaboration with CrossFit features both men’s and women’s footwear that has been designed to enhance your performance and give you the best workout of your life. The Reebok Women’s CrossFit Nano 3.0 is one of the top selling footwear lines for the iconic brand and has been created to tackle all of the different exercises you do in a standard CrossFit workout. If you’ve ever tried to do a CrossFit session with a regular pair of shoes you know how they just don’t cut it, so investing a pair of Reeboks like this will completely change the game for you. 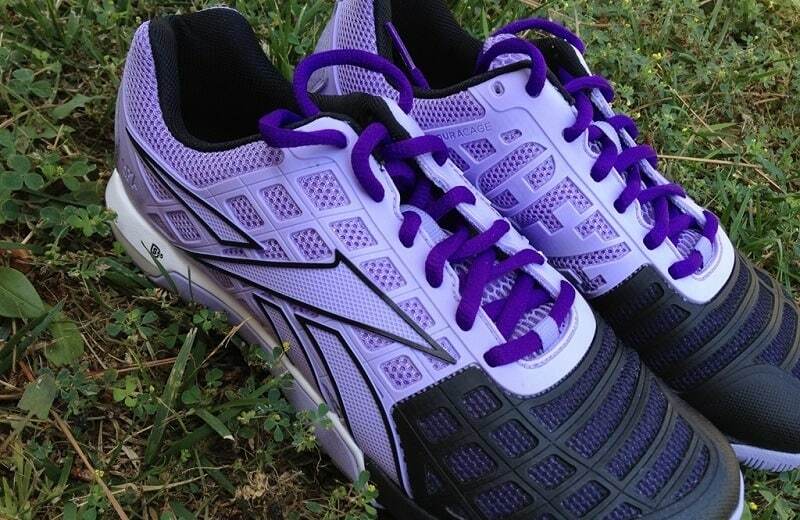 There are so many innovative features that you’ll find in the Reebok Nano 3.0 which are perfectly designed for CrossFit. From the comfortable liner that ensures you don’t get irritated skin and blisters to the dual density make that keeps your body protected during high impact exercises, there’s nothing that this shoe can’t deliver. If you’ve never tried a pair of cross trainers before, you might be surprised by just how well they work in all kinds of situations. The Reebok Nano 3.0 can keep you supported and comfortable while you lift, sprint, lunge, and squat, making them some of the most versatile footwear on the market today. The sizing seemed pretty true to size and there were plenty of positive reviews about just how comfortable the Reebok Nanos are. There is breathable mesh and a liner that helps prevents blisters, so it seems like Reebok has really thought of everything to help the CrossFit fanatic enjoy their favorite workout in comfort and style. Judging by a few of the online reviews, some people found the toe box design of these shoes different to any others they’ve tried. They tend to be a little roomier which is meant to help you feel comfortable but for some, it had the opposite effect and actually felt unusual during certain exercises. The days of shoe shopping in busy malls and waiting for hours to be served are over, as online stores like Amazon offer all of the same products for a huge fraction of the regular cost. Amazon also goes one better and gives you free shipping when you buy shoes from them so you’ll pay no extra freight charges. This means you can order with one click and receive the shoes straight to your house without a hassle. 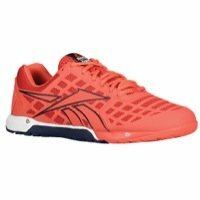 For those who are lucky enough to be Amazon Prime members, you can benefit from free express postage which will have you working out with your brand new Reeboks within just 48 hours. When it comes to specialized women’s shoes that have been made for CrossFit, there’s no doubt that the best is the Reebok Nano 3.0. Their collaboration with the fitness giant means they’ve created the ideal shoe for a CrossFit workout, and you can benefit from their innovative design process. Thanks to the wonder of the internet, we no longer have to head to the stores just to find the latest and greatest footwear, and that’s evident with even this pair. Get yourself the Reebok CrossFit Nano 3.0 Women’s Cross Trainers and feel the difference that the right pair of shoes can make.